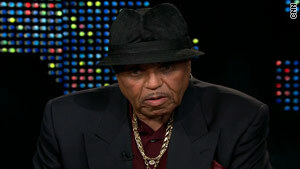 Joe Jackson says he believes Dr. Conrad Murray is "a fall guy" in a conspiracy and that son Michael was murdered. Los Angeles, California (CNN) -- Michael Jackson's father suspects his son was murdered and that Dr. Conrad Murray is "just a fall guy" in a conspiracy. Joe Jackson appeared on CNN's "Larry King Live" on Monday night, just hours after sitting in a courtroom to hear Murray plead not guilty to a single charge of involuntary manslaughter in his son's death last summer. A Los Angeles judge set bail at $75,000, despite arguments from the prosecutor that Murray is a flight risk and needs a higher bail. Murray posted the bond and was released several hours later. Michael Jackson's family, including his parents, four of his brothers and one sister, filled the first two rows of the small courtroom. "I was looking for justice, and justice, to me, would be a murder charge," Joe Jackson told King. Prosecutors charged Murray, who was Jackson's personal physician, with causing the pop star's death "without malice" by acting "without due caution and circumspection." Murray was with the pop star when he died on June 25, 2009. The Los Angeles County coroner ruled Jackson's death a homicide, resulting from a combination of drugs, primarily propofol -- a powerful anesthesia -- and lorazepam. Joe Jackson suggested it was more than a doctor making a fatal judgment. "To me, he's just a fall guy," Jackson said. "There's other people, I think, involved with this whole thing. But I think that he's interrogated -- he would come clean and tell everything he knows." 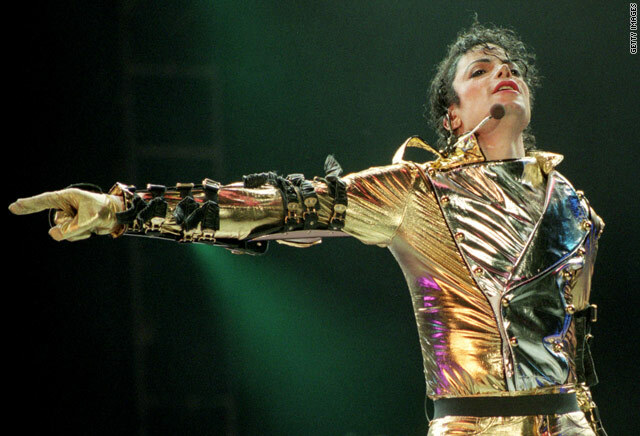 He said Michael Jackson told his mother, as he was preparing for his comeback concerts in London, England, last year, that he thought he would be killed. "He was afraid to even do all of these shows, because he was afraid that he wouldn't get a chance to finish all of the show," Joe Jackson said. "He couldn't do all those shows back-to-back. Even his kids say that he had told them that he would be murdered." Murray turned himself in shortly before 4 p.m. at a branch courthouse near Los Angeles International Airport. He pleaded not guilty during a brief hearing before Judge Keith L. Schwartz. The judge refused to suspend Murray's medical license as a term of his bond, but he did order him not to use any anesthesia on patients. "I don't want you sedating people," Schwartz told Murray. The involuntary manslaughter charge means that Murray caused Jackson's death by acting "without due caution and circumspection." If convicted, Murray would face a maximum four-year prison sentence, according to prosecutors. "Not enough," Jermaine Jackson said when asked what he thought of the charge. "I don't like what happened," Joe Jackson said as he left the courthouse. La Toya Jackson later issued a statement through a publicist. "Michael was murdered and although he died at the hands of Dr. Conrad Murray, I believe Dr. Murray was a part of a much larger plan," her statement said. "There are other individuals involved and I will not rest and I will continue to fight until all of the proper individuals are brought forth and justice is served." Her statement did not elaborate on what she meant in her reference to "a much larger plan." Murray traveled to Los Angeles at the end of January from his home in Houston, Texas, in expectation of possible charges, his lawyer said. He used part of his time last week to visit the pop star's resting place in the Forest Lawn Memorial Park in Glendale, California. Murray, a cardiologist, was hired as Jackson's personal physician last spring as the singer prepared for comeback concerts in London, England. The doctor told Los Angeles police that he was with Jackson at his $100,000-a-month rented Holmby Hills mansion through the early morning hours of June 25, 2009, in an effort to help the pop star fall asleep, according to a police affidavit. He administered sleep aids, and after Jackson finally began sleeping in the late morning hours, Murray said, he left the bedroom for "about two minutes maximum," the affidavit says. "Upon his return, Murray noticed that Jackson was no longer breathing," it says. The doctor stayed with Jackson as an ambulance rushed him to UCLA Medical Center. Efforts at CPR proved fruitless, and Jackson was pronounced dead at 2:26 p.m. The Los Angeles County coroner ruled Jackson's death a homicide, resulting from a combination of drugs, primarily propofol and lorazepam. The coroner's statement said Jackson died from "acute propofol intoxication," but there were "other conditions contributing to death: benzodiazepine effect." Lorazepam and two other drugs Murray said he used are benzodiazepines. The doctor told investigators he had given Jackson three anti-anxiety drugs to help him sleep in the hours before he stopped breathing, a police affidavit said. Murray had been treating Jackson for insomnia for six weeks at the time of the singer's death. The doctor told investigators he gave Jackson 50 milligrams of propofol, the generic name for Diprivan, diluted with the anesthetic lidocaine every night via an intravenous drip. The doctor told police he was worried that Jackson was becoming addicted to the drug and tried to wean him off it. During the two nights before Jackson's death, Murray said, he put together combinations of other drugs that succeeded in helping Jackson sleep. The full autopsy report, which was released Monday afternoon, included an analysis by an anesthesiology consultant of the use of propofol. The consultant, Dr. Selma Calmes, concluded that the "standard of care for administering propofol was not met." "There was no evidence of an infusion pump for control of an IV infusion. No monitors were found at the scene; a blood pressure cuff and portable pulse oximeter were recovered from a closet in the next room," Calmes wrote. An oxygen tank was found near where Jackson slept, but it was empty when the coroner investigator checked it two weeks after Jackson died, Calmes said. "Multiple opened bottles of propofol were found with small amounts of remaining drugs," Calmes said. "A used bottle should be discarded six hours after opening, to avoid possible bacterial growth." "The level of propofol found on toxicology exam are similar to those found during general anesthesia for major surgery," Calmes said. During such surgery, any patient would be "intubated and ventilated by an anesthesiologist," she said. The consultant's report said that the level of lorazepam found in Jackson "would have accentuated the respiratory and cardiovascular depression from propofol." CNN's Stan Wilson and Ted Rowlands contributed to this report.